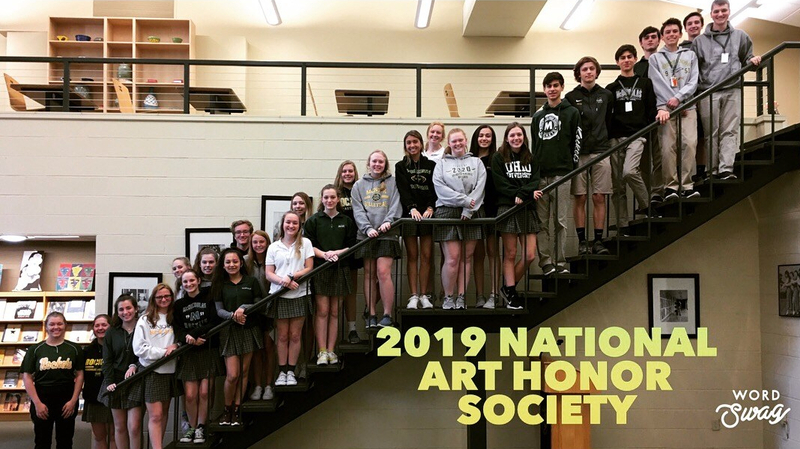 Students and teachers at McNick are commonly recognized for their dedication to their school work, perseverance in athletics, or commitment to various school activities. However, many Rockets are as proud of their quirky talents and abilities as they are of the skills they use each day. Here are some members of the McNick community whose unusual talents stand out and agreed to share them with The Milestone. Freshman Madeline Daley is most proud of her talent for memorizing the words to commercials on TV. Daley enjoys having this talent because it allows her to easily memorize the names of companies and products that she wants to buy. “I always know the right products to buy and the right websites and phone numbers to call,” she said. She has memorized the commercial that offers help for people with mesothelioma and commercials for Direct TV, My Pillow, Geico, State Farm, and other insurance companies as well. Daley said that the only skill she needs in order to memorize the commercials is the ability to sit through them. Sophomore Adam Helwig can bend his knees backwards and juggle. Helwig learned how to juggle about one year ago when his friends inspired him to try it. “Two of my friends learned how to juggle, and they seemed like they were having a lot of fun,” he said. It took him one week to learn, and he can now juggle four balls at the same time. He has also juggled pins, sticks, and a knife. “[Juggling] takes a lot of patience and hand coordination,” Helwig said. He said he likes being able to juggle because “it kind of sticks out” and it is a useful skill to have at parties. “It’s unique and not a lot of people can do it,” he added. Senior Lauren Steinkuhl has learned to make balloon animals and walk on stilts. Steinkuhl acquired these talents when she began working for the Cincinnati Circus in April of 2017. “Apart from it being a great conversation starter, I love performing with the circus because it’s so unexpected,” Steinkuhl said. The first balloon animal Steinkuhl learned to make was the dog, but her favorites are the flower and the sword. “The sword is a fun one to give to children because they will immediately whack each other with it,” Steinkuhl said. It only takes her about a minute to make a balloon animal, and she enjoys being able to make people happy with her talent. “I like the unexpected joy it brings to people,” she said. Steinkuhl said that anyone could learn to make balloon animals, but stilting is much more difficult to do. “[Stiliting] is partly just not being afraid of falling down,” she said. “If you psych yourself out enough, you’re going to fall.” The stilts that Steinkuhl uses range in height from a little under five feet to about the height of the hallways at McNick, and she has never fallen down while using them. “It’s just like walking with really long calves,” she said. Senior Sam Veeneman can rap the lyrics to multiple songs, and he has earned a star rating in every cup on Mario Cart DS. Veeneman does not remember when he first learned to rap. “I didn’t choose rap; rap chose me,” Veeneman said. He said it takes a strong memory, time commitment, and a love for the song in order to memorize the lyrics and be able to rap them. One of his favorite songs to rap is “Love the Way You Lie” by Eminem and Rihanna. Veeneman enjoys being able to rap because it allows him to sing along to songs when he is with his friends. “You both just have a really good time with it,” he said. Veeneman has been playing Mario Kart since he was seven years old. “It was the first DS game I ever got. I played it non-stop as a kid,” Veeneman said. He has developed strategies, found short cuts in the races, and typically plays with Luigi in the Standard LG kart. “I’ve done extensive research on Mario Kart and how to do well in it,” Veeneman said. He said it takes commitment, dedication, perseverance to achieve a star rating in every Mario Kart race. “Sometimes when Toad beats you or Yoshi beats you, you have to get back up and do the cup again,” Veeneman said. However, he said Mario Kart can also be fun and relaxing. “It is something to pass the time and something to bond with friends about,” he added. Theology teacher John Norman is able to do a headstand, but he believes his more impressive talent is the ability to perform a humorous monologue. The only skills Norman said he needs to do a headstand are “balance and some strength.” He does not see his headstand ability as being unusual except for the fact that he is someone who is over fifty and able to do it. “What kids find amusing is that I can do it, and they can’t,” Norman said. Norman developed his first monologue as a form of entertainment at a retirement party for a colleague. “It was a way to honor them as they were retiring,” he said. In order to perform the monologue, Norman took on the alter ego of a character he created named Juan Sandino Cardenal. He held a small box he called the “Laugh-O-Meter” to measure the success of his jokes, and many people found him entertaining. Norman said that his talent was most likely funny because it was unexpected from him, and it would not have the same effect if he repeated it. “Most people see me as quiet and reserved,” he said. “This is one of those cases where you had to be there.” Norman spent weeks preparing his monologue by looking up jokes about retirement, making them relevant, and weaving a story. His main goal was “to lighten [the mood] up a little bit,” and he was successful. Theology teacher David Sandmann learned how to solve a Rubik’s Cube when he received one as a gift about five or six years ago. He figured out how to move the pieces in different patterns through experimentation and did a little research on how the cube works. He sees each side of the cube as “not just nine white pieces or green pieces,” because he looks at the cube as a whole of twenty-six pieces with different colors on each side. “It seems pretty complicated, but it’s not,” Sandmann said. Sandmann can solve the cube in several seconds if he “cheats” by mixing up the cube, loosening it a little by spinning one side, and flipping it up in the air. “If I don’t cheat, it takes me a minute or so,” Sandmann said. He said it takes both patience and a little bit of creativity to solve the cube without cheating. He solves the white side first and then uses the patterns he knows in order to solve the middle row of the cube. Sandmann said he likes the challenge of solving Rubik’s Cubes because they are puzzles. “I like all kinds of puzzles and games, and I just think it’s fun to do,” Sandmann said. McNicholas students and teachers perform their talents for The Milestone. Watch the video below to see each talent.